The attainment of the functions of power and signal distributions, heat dissipation and device protection for electronic products relies on the good packaging. 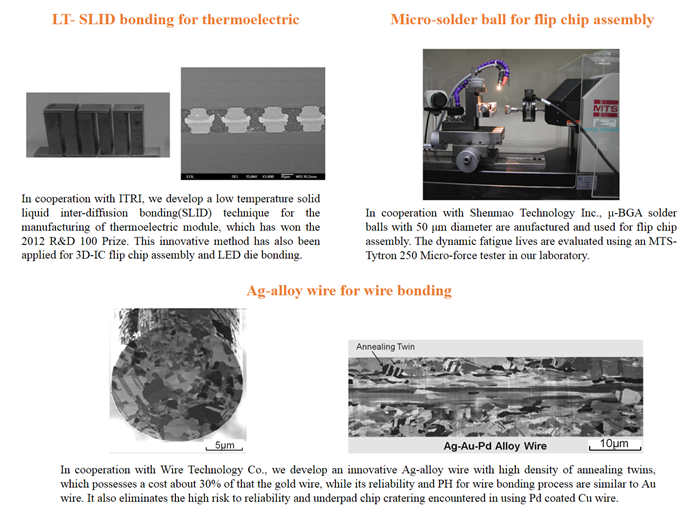 Our laboratory focuses on the advanced manufacturing processes and key materials for electronic packages, including the wire bonding material, electrode bonding for thermoelectric module, LED die bonding, micro-joint in 3D-IC package and micro-BGA solder balls for flip chip assembly. 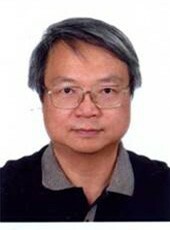 These researches are tightly cooperated with the industry. Click to show the full size image.